Some users of the recently released ‚Pokemon Go‘ app have been claiming that the app drains their data plan quickly. 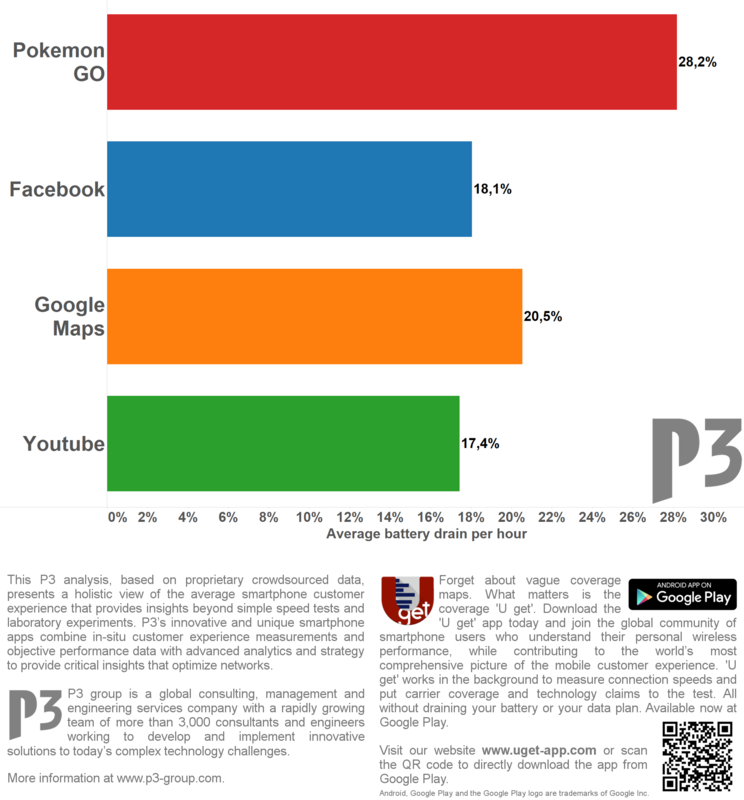 P3 analyzed the ‚Pokemon Go‘ app usage behaviour of over 200 smartphone owners and came to a different conclusion. The average app session of the ‚Pokemon Go‘ app lasts around 175 seconds where the app receives around 300 kilobytes of data per session. 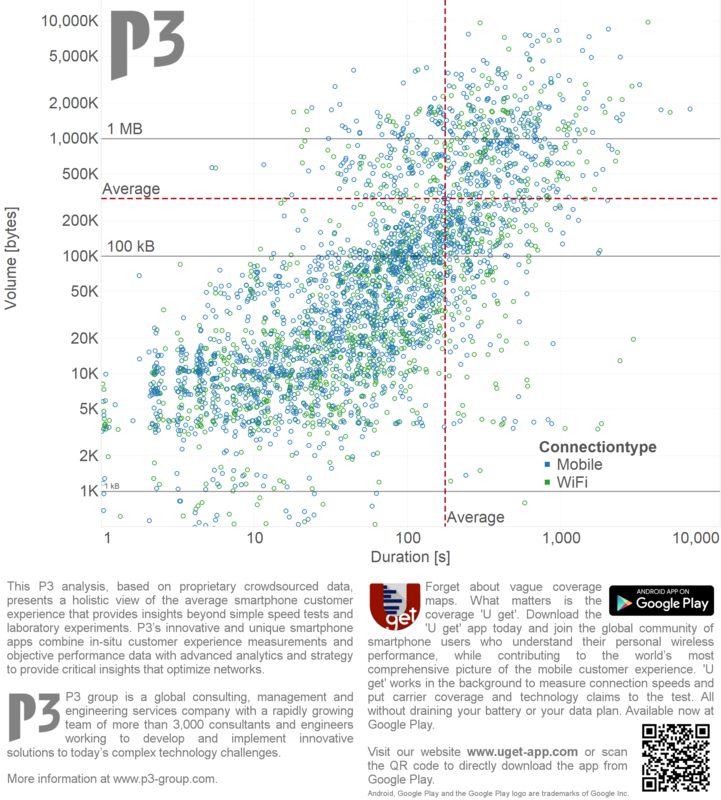 The plot below shows several thousand ‚Pokemon Go‘ app sessions of American and German smartphone users with their respective data usage and session duration, observed between July 6 and July 15, 2016. Regarding battery drain, we found that the ‚Pokémon Go‘ app’s battery usage is as dramatic as you feared. Among some of the most used apps, ‚Pokémon Go‘ is clearly the one with the highest battery drain rate with an average battery level loss of 28% per hour. Our analysis, based on crowd sourced data, shows that ‚Pokémon Go‘ drains the battery about 50% faster than Youtube or Facebook.